East-West Seed is the market leader for tropical vegetable seeds in Asia and is rapidly expanding in Africa. The privately-owned company has played an important role in the development and improvement of high-quality vegetable varieties in tropical countries. East-West Seed develops vegetable varieties that are adapted to tropical markets and growing conditions and generate increased yield and productivity for farmers. In addition, the company educates farmers and helps them to maximize their yield and income through better knowledge on vegetable production. 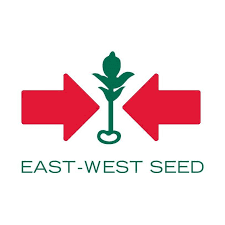 East-West Seed is one of the 10 largest vegetable seed companies in the world, with a leading position in Southeast Asia and rapid expansion into India, and designated parts of Africa. East West Seed has set out an ambitious growth strategy to expand our leading position in the vegetable seed industry in Tanzania. In order to achieve our targets we welcome experienced seed sales Planner to become part of our highly successful team.The Sales Planner will be a crucial member of a team that will support sales in meeting its objectives. Prepare a 5 year sales forecast together with the Sales and Marketing Manager,Coordinate the production with the group SOM,Make annual inventory planning and coordinate this with the Plant department, Monitor and analyse the inventory. Prepare monthly a sales forecast for 3 month per stockpoint, Monitor the stock movement and adjust the forecast accordingly, Take immediate action in case upcoming shortage, Give a monthly inventory status total and per Stock point. Bachelor in Procurement and Supply Chain Management, Marketing or Procurement and Logistics Management is preferred. East West Seed has competitive packages including bonuses on offer for outperformers.